conclusion of the 2012 Council of the Federation mission to China. While in Hong Kong, Premiers met with John Tsang, Financial Secretary of Hong Kong. 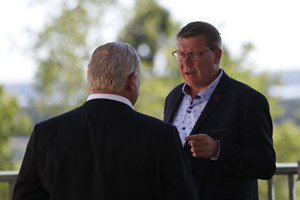 The meeting focussed on opportunities for trade and investment in Hong Kong, which has deep and long-standing connections with Canadian provinces and territories in areas as varied as commerce, culture and education. In addition, Premiers met with senior representatives of the Hong Kong Stock Exchange (HKEx), rang the opening bell at HKEx, and participated in an event with senior business leaders organized by the Hang Seng Bank. 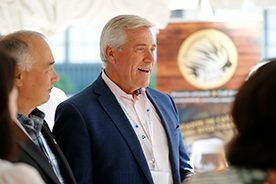 “The mission was successful in demonstrating to China’s business and political leaders that Canada’s provinces and territories value their collective and unique relationships with China,” said Nova Scotia Premier Darrell Dexter, Chair of the Council of the Federation. “Increased trade with China means more jobs for Canada. 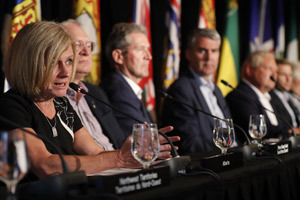 The mission has already accomplished results for each of our provinces and territories, and I am confident it will yield many benefits for businesses back home in Canada well into the future." Premiers also held a ceremony at the Sai Wan War Cemetery, a military cemetery located in Chai Wan, Hong Kong where 282 Canadian graves are located. They also visited the Sai Wan Memorial Wall, which bears the names of the Canadians who died in the defense of Hong Kong, but who have no known graves. 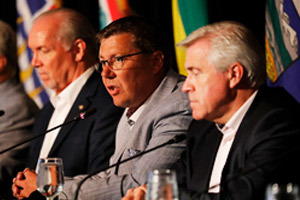 The Premiers of Nova Scotia, Manitoba, Northwest Territories and Yukon are in Hong Kong as part of the Council of the Federation mission to China, taking place September 10 to 20, 2012. A delegation of senior government representatives and business leaders from Newfoundland and Labrador are also in Hong Kong as part of the mission. This is the second mission to China undertaken by the Council of the Federation. 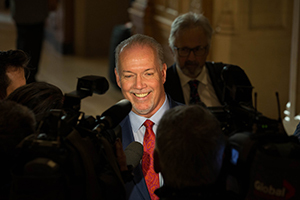 In 2008, a delegation of Premiers and business leaders traveled to Beijing, Chongqing, and Shanghai.